We partnered with Zoottle to turn your property's WiFi into a Marketing Machine! Click to learn more. CLICK HERE NOW for our services! Feliz Navidad a nuestros clientes, amigos y huespedes!!!! WISCNET ON-Demand is a new concept with a Pay-Per-Use solution!! 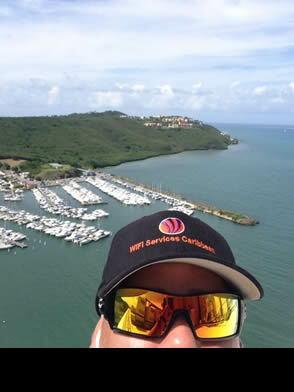 We provide On-Shore WiFi Services and 4G/ LTE/ WiFi service and equipment for ships and yachts in San Juan Bay. Take care of your guests. We'll take care of your WiFi!! Click here to see our services for the Hospitality Industry. You'll be in great company by choosing WiFi Services Caribbean as your B2B provider! Click here to see some of our current clients. D-Coding at Banco Popular Centro Europa. Verdanza Hotel is one of the top hotels in Isla Verde. Our WiFi Ssrvices contributes to their success. Merry Christmas to all our customers, friends and guests!! Villa Herencia is a jewel in Old San Juan. Nuestra Herencia. Our most rewarding job, blending seamlessly the old world architecture with our modern WiFi. Connect your Business with WiFi Services Caribbean! We are a B2B provider of Wireless Internet Solutions (WiFi) dedicated to offering easy to implement solutions, using carrier grade hardware and software at the most competitive prices in order to allow our customers to make money (maximize their revenues) by controlling connection parameters while providing their customers with high quality, reliable wireless internet connections. 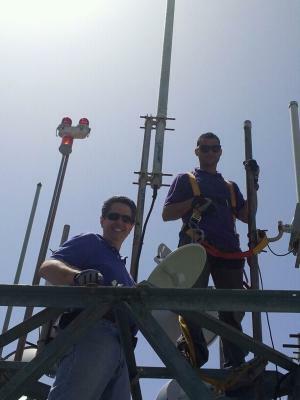 Our dedicated staff has more than 10 years of combined experience in the telecommunications industry, and will work tireleslly for you. We offer complete solutions that allow our customers to control how their customers connect to the internet. Moreover, we provide personalized service by analyzing each customer’s specific needs, survey the site with powerful analysis tools to assess signal and interference and propose the most convenient solution.